The incidence of gastric irritation which is caused by non-selective NSAIDs is quite high. So, If we view from the safety side to the stomach only, the selective COX-2 inhibitors become an option. My question is, Are selective COX-2 inhibitors certainly more potent and safer than non selective NSAIDs ? Selective NSAIDs inhibit COX-2 enzyme only without inhibiting COX-1, so that prostaglandins are not formed. In clinical use, selective and non-selective NSAIDs are often used to relieve pain in joint inflammation (osteoarthritis / rheumatoid arthritis), local inflammation, chronic skeletal muscle pain. 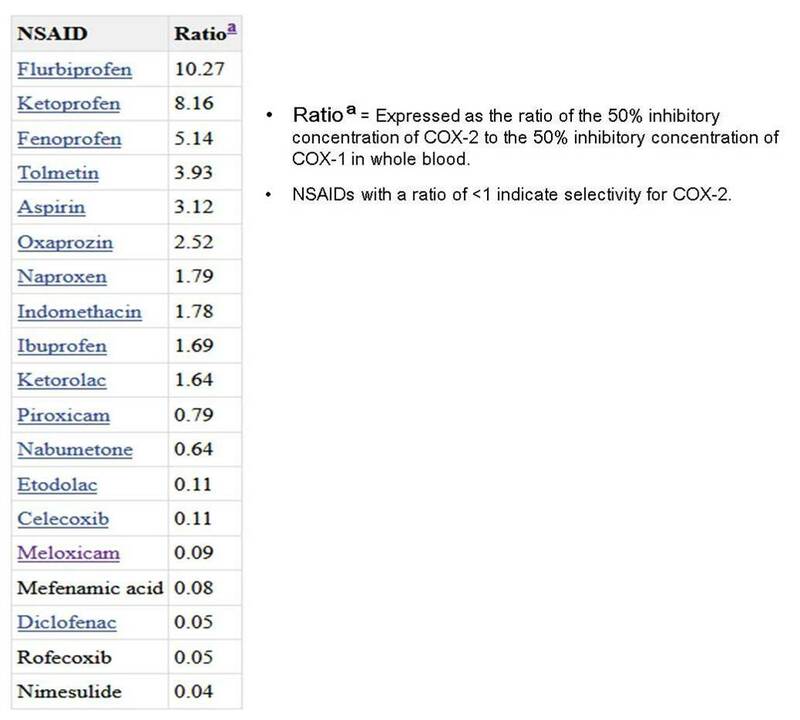 Non selective NSAIDs have the anti-inflammation effect by inhibiting both COX-1 and COX-2 enzymes. 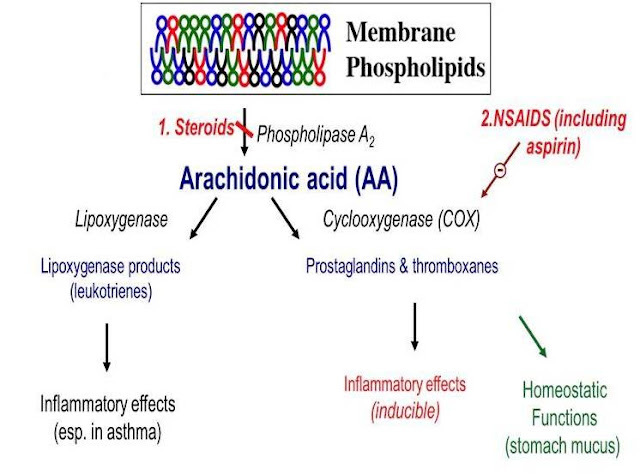 These enzymes role in catalyzing the prostaglandin (PGE2) and thromboxane which are from arachidonic acid. PGE2 is a major mediator of inflammation. The side effect of non selective NSAIDs to cause gastrointestinal disturbance is due to the inhibition of COX-1 enzyme. NSAIDs are metabolized mostly in the liver. Each drug of NSAIDs class has varying half-life (t½) and bioavailability. Therefore each drug has a different dosing regimen. Comparison of Non selective and selective NSAIDs Side Effect. A common side effect of using non selective NSAIDs is gastric irritation. This is due to the inhibition of COX-1. 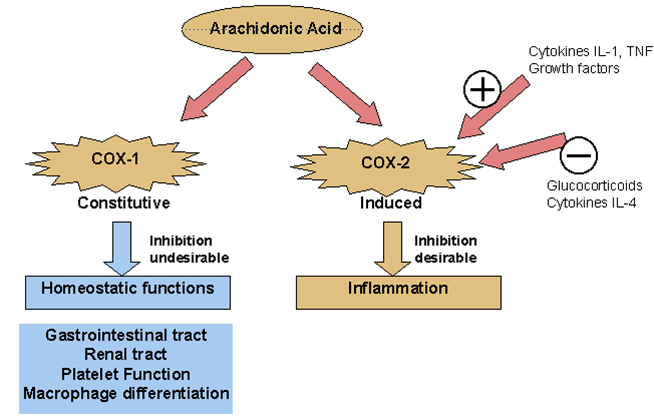 The main function of prostaglandins which are synthesized from arachidonic acid by using COX-1 enzyme is to protect the gastric mucosa. When COX-1 is inhibited by non selective NSAIDs, prostaglandins are not formed. It causes Irritation or peptic ulcer. To minimize the side effect, NSAIDs should be taken after meals (1 hour after meals). It may be given gastroprotective agents such as proton pump inhibitors (PPIs), sucralfates, or H₂ receptor antagonists. The incidence of gastric irritation is very low in the use of the selective NSAIDs. But it does not mean this class is safe. Side effects of selective NSAIDs are increasing the risk of myocardial infarction, atherosclerosis, ischemic stroke, and hypertension. Selective NSAIDs cause imbalance of prostacycline (vasodilator and anti-thrombosis) and thromboxane (vasoconstrictor and thrombosis) levels. COX-1 is constitutively biosynthesized in the body. It is essential for thromboxane formation in blood platelets, and for maintaining integrity of the gastrointestinal epithelium. Thromboxane leads to vasoconstriction and platelet aggregation. COX-2 is formed when there is inflammation. COX-2 mediates the formation of prostaglandins as an inflammatory response which have vasodilatation and anti-thrombosis effect. 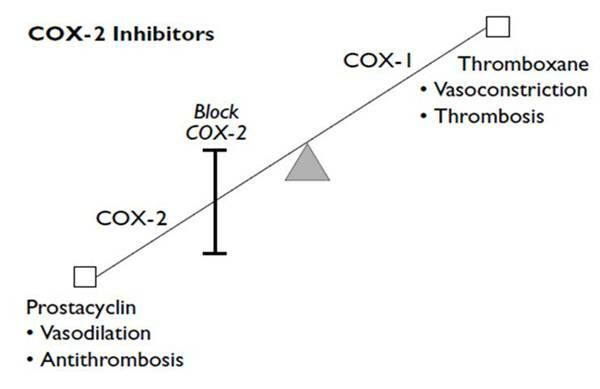 Non-selective NSAIDs inhibit both COX-1 and COX-2 so that the level of thromboxane and prostacycline are balance. However, selective NSAIDs (COX-2 inhibitors) cause inbalance of thromboxane and prostacycline level. Increased thromboxane levels cause vasoconstriction and thrombosis (platelet aggregation) that can trigger atherosclerosis, myocardial infarction, ischemic stroke, and hypertension. These are the adverse effects of COX-2 inhibitors. Based on the consideration of side effects from both classes above, non selective NSAIDs are more recommended for anti-inflammation than selective COX-2 inhibitors. The combination of both classes is ineffective and unsafe for the patient. Adapted from: Feldman M, McMahon AT. Do cyclooxygenase-2 inhibitors provide benefits similar to those of traditional nonsteroidal antiinflammatory drugs, with less gastrointestinal toxicity? Annals of Internal Medicine 2000;132:134-43 (https://www.ncbi.nlm.nih.gov/books/NBK53951/). Flurbiprofen and ketoprofen were COX-1 selective. Ibuprofen and naproxen were essentially nonselective, while others (eg, diclofenac, mefenamic acid) were COX-2 selective. Inhibitory effects of NSAIDs on gastric prostaglandin E2 synthesis correlated with COX-1 inhibitory potency in blood (P <0.001) and with COX-1 selectivity (P <0.01), but not with COX-2 inhibitory potency. NSAIDs can induce asthma attacks. 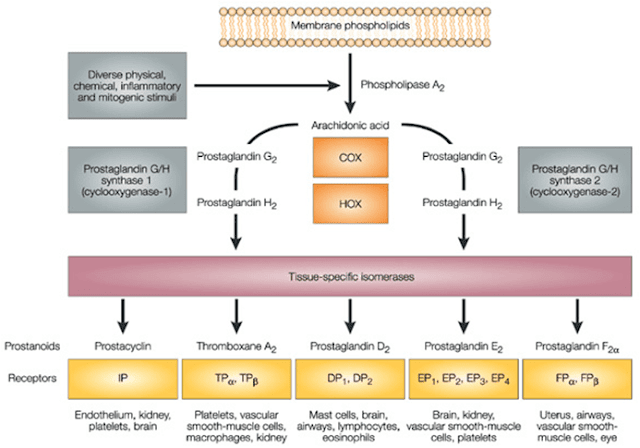 The inhibition of prostaglandin E2 (PGE2) leads to an increased production of leukotrien by the enzyme lipoxygenase. This condition causes high leukotriene levels which its effect is bronchoconstriction. Do selective cyclo-oxygenase-2 inhibitors and traditional non-steroidal anti-inflammatory drugs increase the risk of atherothrombosis? Meta-analysis of randomised trials . Cyclooxygenase-1 and Cyclooxygenase-2 Selectivity of Widely Used Nonsteroidal Anti-Inflammatory Drugs .